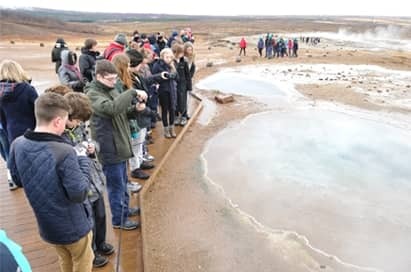 The natural and unique landscape of Iceland lends itself perfectly to a geography field trip where there is no shortage of ways to link your visit to the curriculum. Visit diverse volcanic landscapes, take a trip to the world heritage site of Þingvellir where you can see the European and North American plate boundary, or visit Skaftafell National Park where you can walk to the snout of Skaftafellsjökull glacier or Svartifoss waterfall. If you choose to visit in winter your students may be lucky enough to see the countryside bathed in the eerie light of the Aurora Borealis. 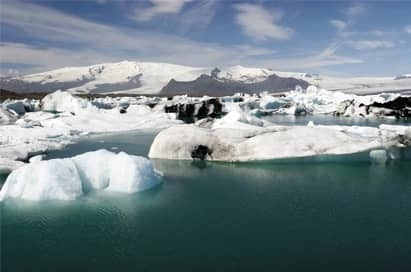 At every time of year Iceland proves to be a truly awe inspiring and unforgettable destination. Stops include the Þingvellir National Park; the only place in the world where the Mid Atlantic Ridge can be observed above sea level. Appreciate the interaction between tectonic and glacial influences at Gullfoss waterfall as well as the Geysir geothermal area with its hot springs. Witness Strokkur the most famous and active geyser in Iceland which erupts every few minutes. Then it is time to head back to Reykjavík over the Hellisheiði plateau, passing the geothermal village Hveragerði on the way. This is an incredible opportunity to experience caving through a lava tube. 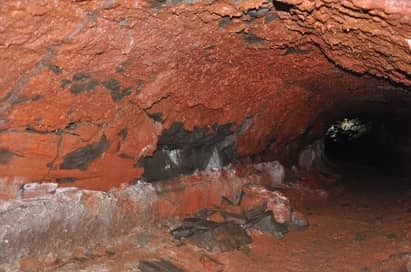 Groups will descend into the lava tubes to discover more about their formation and will see interesting forms of lava stalactites and different rock formations making this an experience of majestic and almost indescribable beauty. The Leidarendi Cave can be incorporated into your Reykjanes Peninsula Day. The Gjabakkahellir Cave is in the area of Thingvellir, so can be incorporated into your Golden Circle Day. 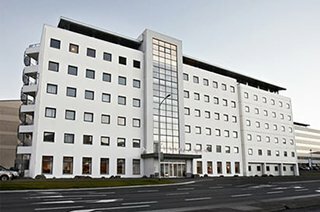 This tour is designed to take a closer look at the ‘real Iceland’ away from the tourist hotspots. Visit lake Kleifarvatn to look at pillow lava the foundation of Iceland, before stopping in the Seltún geothermal area, where the volcanic heat has formed thermal springs, steam vents, and mud pools. 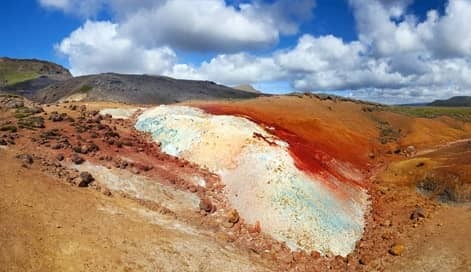 Visit Stampar volcanic fissure demonstrating two hornitos together with Reykjanesviti, home to Iceland's oldest lighthouse perched on top of a volcanic cone. The day concludes with a visit to the bridge between continents en-route to Reykjavik and the Perlan Centre which supplies Reykjavik with geothermally heated water. Explore the second largest glacier in Iceland from the inside. 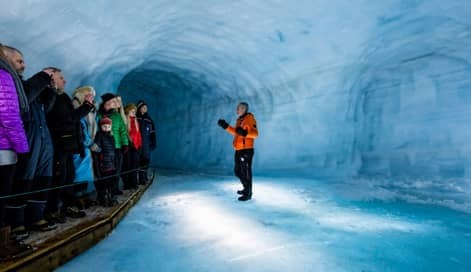 The man-made tunnel in Langjökull glacier is a quite unique place to visit. Experience the awesome ice cap glacial environment by taking a ride in a monster 8-wheel-drive glacier truck to the entrance of the ice cave. The layers of ice quite literally tell Iceland's history and illustrate the effects of global warming inside this magnificent ice environment. 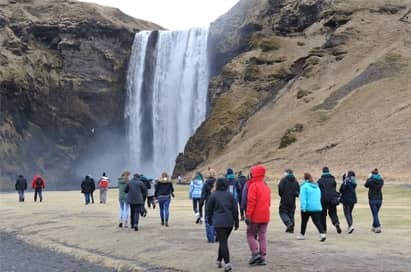 This tour crosses the Olfusa and Eyrarbakki rivers and travels through quaint coastal villages to where the famous Hekla volcano can be seen on a clear day, also en route are two breathtaking waterfalls. After lunch the tour continues to the impressive Solheimajokul glacier with a short stop on the glacier tongue before the return home across the Hellisheidi plateau. A rare opportunity to see Sólheimajökull, a glacial tongue extending south from the Mýrdalsjökull Glacier, study the outwash plain, and witness glacial processes in action. 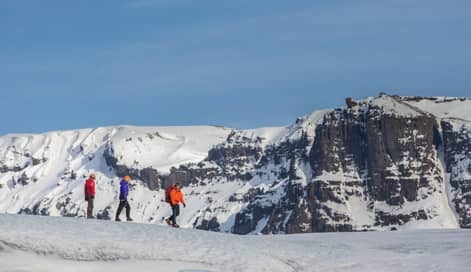 During the 2 hour tour you will be walking on the southernmost glacier in Iceland where you will experience pure ice within an amazing landscape. This can be incorporated into the South Shore Adventure. 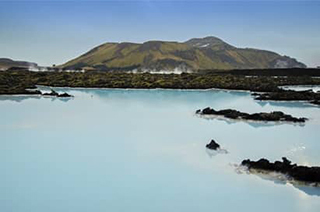 The Blue Lagoon is a unique wonder of nature, with pleasantly warm mineral-rich geothermal water in a middle of a black lava field. The naturally high levels of silica and minerals give the Lagoon its rich blue colour. 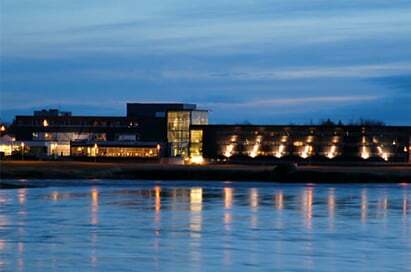 Located with the Golden Circle Area, this is a great alternative to the Blue Lagoon, and offers a more authentic Icelandic hot springs experience which hold a temperature of 38-40 Celsius all year. 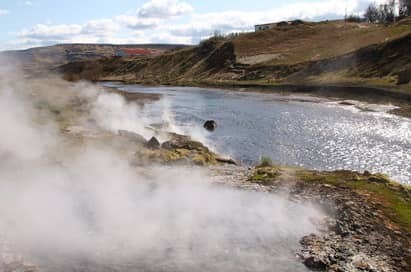 In the whole area there are several geothermal spots and a little Geysir which erupts every 5 minutes. The National Park is one of Iceland's most outstanding areas of natural beauty dominated by the glacier Vatnajokull, Europe's largest ice cap. Continue to the Jokulsarlon Glacial Lagoon where huge icebergs float and grind together in the still, deep waters of the lagoon. 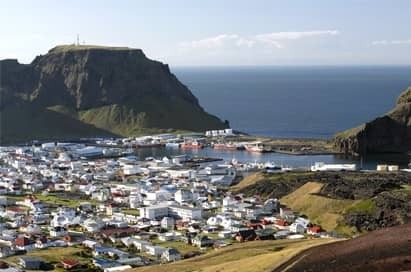 The Pompeii of the North and the UNESCO Youngest Place on Earth are within a group of 15 islands, situated off the south coast of Iceland. During this excursion you will venture out to the magnificent ocean cliffs, home to 10 million puffins. May - September only. Iceland uses its abundant geothermal energy to heat greenhouses in which fruits and vegetables are grown. 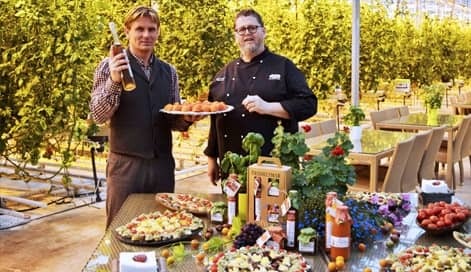 You can visit greenhouses at Reykholt in western Iceland where cucumbers, tomatoes, other vegetables and flowers are grown and learn about this important industry. The Glacier walk was incredible and the guides we had with us were fantastic. Excellent throughout, as with every previous time we have used EST. Staff are consistently friendly, helpful, efficient and patient. You have been fantastic in every respect. Everything we asked for help with you did. All in all an excellent trip. Both students and adults thoroughly enjoyed it.